The nearest mainline railway stations are at Totnes (16.5 miles) and Plymouth (21 miles). The local operator is Great Western Railway (Tel: 0345-7000-125 for bookings and reservations). Good sources of national train times, fare prices etc are www.nationalrail.co.uk and www.thetrainline.com. 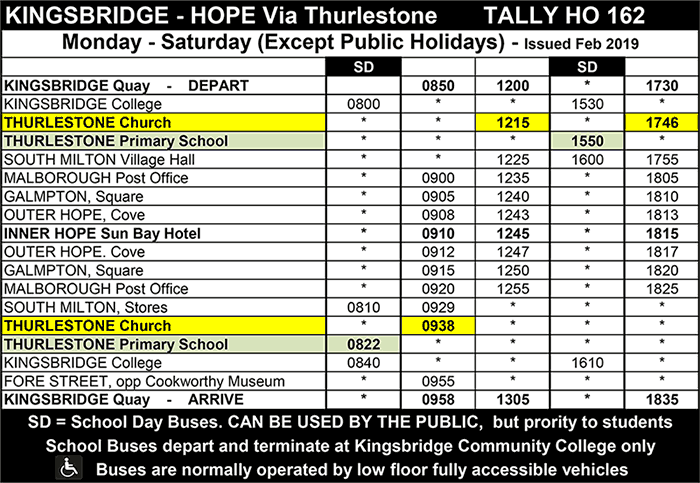 The local bus service between Thurlestone and Kingsbridge is Tally Ho! service No. 162. Tally Ho! can be contacted on 0333-4560231 or online at www.tallyhocoaches.co.uk. 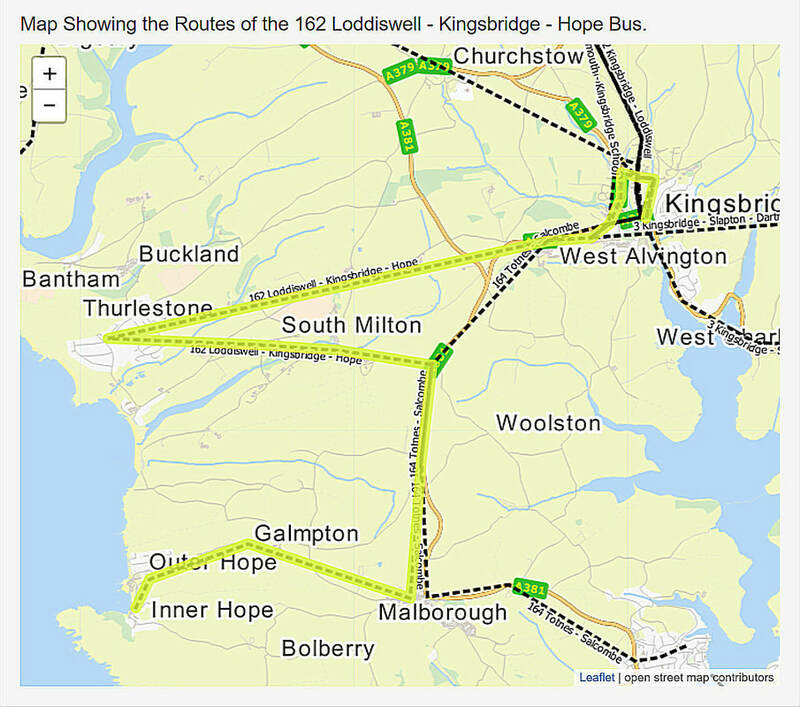 A good website for planning journeys in the South West, particularly using buses, is Traveline South West which can be found at www.travelinesw.com. Below is a selection of local taxi firms taken from a Google search.